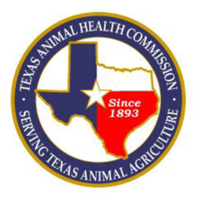 (Austin, Texas - Friday, July 11, 2014) - On July 10, the Texas Animal Health Commission (TAHC) received confirmation of two new cases of Vesicular Stomatitis (VS) in horses in Bastrop and Travis counties in Central Texas. One premises is located two miles east of Webberville, Texas in Travis County. The other premise is located four miles east of Webberville in Bastrop County. To date, 10 premises in seven Texas counties have been confirmed with VS. Those counties include: Kinney, Hidalgo, San Patricio, Nueces, Jim Wells, Bastrop and Travis counties. Note: The Kinney county premises has been released from quarantine. The newly identified infected premises is currently under quarantine by the TAHC. Affected horses will be monitored by regulatory veterinarians while under quarantine. Premises are eligible for quarantine release 21 days after all lesions have healed. There is no known exposure to other horses around the state, or at any equine events. On July 8, the first VS case in Texas cattle was announced. It was detected in two head of cattle in South Texas, approximately 6 miles southwest of Mathis, TX. On July 3, a case of VS was announced in a horse in Nueces County in South Texas. The premises is located approximately 10 miles south of Mathis, TX. On June 20, a case of VS was announced in Nueces County. The premises is located 10 miles south of Mathis, TX. On June 17, two cases of VS were confirmed in horses in San Patricio County in South Texas. One premises is located approximately 7 1/2 miles southeast of Mathis. The other premises is located approximately 7 miles southeast of Mathis. Two cases of VS in horses in Hidalgo County in South Texas were announced on June 5th and 9th. One premises is located approximately 24 miles northwest of Edinburg. The other premises is located three miles northwest of Edinburg. Several states have provided the TAHC with information on enhanced entry requirements they are imposing on Texas livestock (including horses) due to the recently announced VS cases in Texas. For information about these movement restrictions, contact the state or country of destination and/or visit http://www.tahc.texas.gov/news/2014StateRestrictionsOnTX_VS.pdf . For more information about VS, visit the TAHC's brochure at http://www.tahc.state.tx.us/news/brochures/TAHCBrochure_VS.pdf . A USDA-APHIS VS fact sheet is available at http://www.aphis.usda.gov/publications/animal_health/content/printable_version/fs_vesicular_stomatitis_2012.pdf. For current USDA-APHIS VS situation reports visit http://www.aphis.usda.gov/wps/portal/aphis/ourfocus/animalhealth?1dmy&urile=wcm%3apath%3a%2Faphis_content_library%2Fsa_our_focus%2Fsa_animal_health%2Fsa_animal_disease_information%2Fsa_equine_health%2Fsa_vesicular_stomatitis%2Fct_vesicular_stomatitis. For additional information call (512) 719-0700 or contact your local TAHC region office.